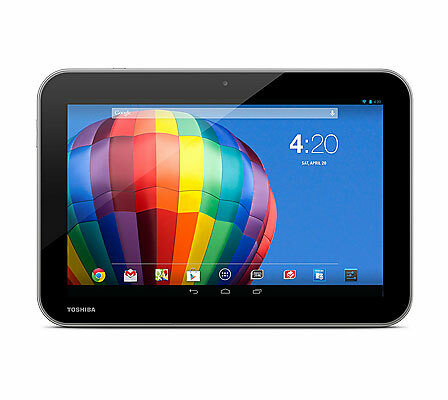 Bringing the tablet experience to the next level, Toshiba Singapore’s Digital Products and Service Group announced its new Excite Write tablet. The new 3G-enabled Excite Write and Pure tablets are available in stores now, starting from $599. Powered by the latest NVIDIA Tegra 4 Quad-Core mobile processor and NVIDIA GeForce GPU, the Excite Write offers multitasking performance, sublime graphics and power efficiency. The PixelPure (2560×1600) display has an astounding 4.0 million pixels (300ppi), four times more than previous generation REGZA tablets. Paired with the PLS display, Toshiba reports that on-screen images are 10 per cent brighter and 30 per cent richer as compared to IPS display. Whether for fast web browsing, capturing HDR images, console-quality gaming or watching video content in Full HD, this high-performance processor handles all tasks with ease. 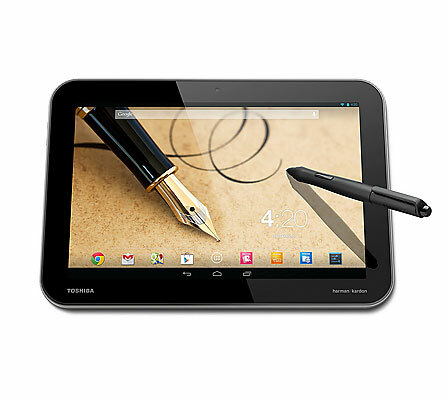 The Toshiba Excite Write is also equipped with Corning Gorilla Glass 2 to provide extra screen protection against careless scratches and knocks. The Excite Write is equipped with 8 MP auto-focus rear camera with LED flash and 1.2 MP front-facing camera. For those who demand better photo quality, the rear camera is equipped with a F2.2 aperture camera which allows you to capture better images in low-light romantic restaurants or night time shots! Enhance your creativity and productivity with the Wacom Digitiser and stylus, capable of supporting 1024 levels of pressure sensitivity. Toshiba’s exclusive app TruNote allows easy-to-use note-taking task that emulates real-life pen and paper handwriting experience. Industry-renowned Harman Kardon speakers project sounds excellently, allowing you to hear every nuance and chord perfectly. Given the great sound and video capabilities, they offer a cinema-like experience on a compact, ultra-mobile tablet screen. Toshiba Excite Write tablets come in an aesthetically pleasing silver finish with textured dot patterns for a steadier grip. It is slim – a mere 10.5mm – and weighs a light 645g. It comes with an ample 10.1 inch capacitive screen, which supports full 10-point multi-touch, and an average battery life of 9 hours. Given its processing power, luxurious screen, branded speakers and pen – all in all – it’s a compelling package worth looking at. Alternatively, the Excite Pure is available with a speedy Tegra 3 processor, crisp HD display and offers up to 11 hours of non-stop entertainment. Visit www.pc.toshiba-asia.com for more details.